Eminem klar med nya videon till "Beautiful"
"Tiger Stadium is being torn down, and the train station is supposed to be demolished too. 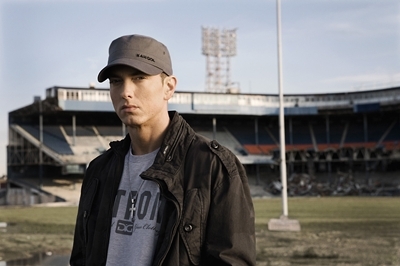 This video is one of the last times anybody outside of Detroit is going to see them," commented Eminem. "I wrote 'Beautiful' when I was really down, during a difficult time struggling with my addiction. It's a reminder to keep your head up, and to see who you really are despite what you may be going through. Now that I've gotten through the toughest part, I see how the song relates to Detroit, and it feels even more powerful to me." Jag längtar verkligen efter att få se ..the final..